Symphony Xplorer H200 equipped with 8 megapixel front camera and 13 megapixel rear camera has been announced today at Symphony’s outlet in Bashundhara Shopping Mall. The phone has been said to be for the selfie lovers along with those who likes to take and share pictures according to the Head of Sales, Ashraful Haque. The 4.7 inch HD IPS display Symphony Xplorer H200 boasts 1.3GHz Quad Core processor supported by 1GB RAM with storage capacity of 16GB. 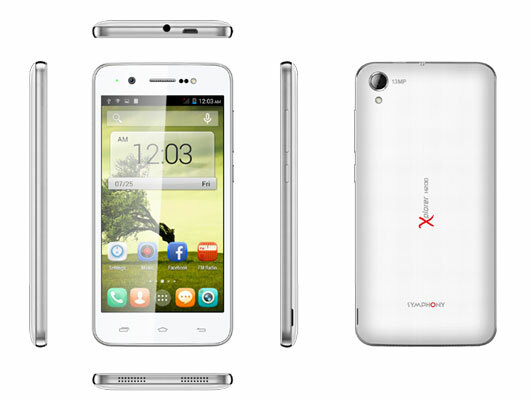 The Android 4.4.2 KitKat run Xplorer H200 is powered by 1800mAh battery. The device is now available at any of the Symphony outlets with a price tag of BDT 12,990 and comes in two colors: black and white.